1st Congressional District– In a primary contest followed nationally, Republican incumbent Paul Ryan, Speaker of the U.S. House, easily defeated Paul Nehlen, 84%-16%, in the GOP primary contest. 8th Congressional District– In the GOP primary for the open congressional seat vacated by Rep. Reid Ribble (R), Mike Gallagher came out on top with 74% of the vote. The military veteran and national security expert beat out State Sen. Frank Lasee and Terry McNulty for the chance to face Outagamie County Exec Tom Nelson (D) in the November general election. 4th Senate District(Milwaukee) – In a race many thought she could lose, Incumbent Lena Taylor handily defeated State Rep. Mandela Barnes (D), 61%-39%, in the DEM primary. 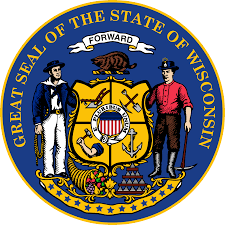 18th Senate District– In the GOP primary for the open state senate seat vacated by State Sen. Rick Gudex (R), Dan Feyen captured 56% of the vote to beat Mark Elliott for the right to square off against Winnebago County Exec Mark Harris (D) in the general election. 9th Assembly District(Milwaukee) – Longtime Democratic incumbent Josh Zepnick (D) survived the evening, squeaking by his DEM primary opponent with 53% of the vote. 11th Assembly District(Milwaukee) – Jason Fields, a former state representative, appears to be headed back to the Assembly in Nov., after winning his DEM primary race. Milwaukee County District Attorney– Incumbent John Chisholm held of his primary opponent, Verona Swanigan, with 65% of the vote. With the primary over, candidates are now setting their sights on the general election and preparing for the difficult road ahead. This year’s elections are forecasted to be unpredictable as the controversial presidential candidates lead the top of the ballot, causing concern for candidates on the local level. Stay tuned to the HC Report as the campaign continues for more updates on candidates and the election. For a complete update of yesterday’s results, please visit the Milwaukee Journal Sentinel primary election page.